Hillary Clinton’s promise to represent “everyday Americans” is completely at odds with her personal lifestyle, obsession with money, and the fact that her 2008 campaign was funded by giant transnational banks. By “those at the top,” Hillary is presumably referring to the 1% – Wall Street cronies, transnational banks and huge corporations – in other words the very entities that bankrolled Hillary’s 2008 presidential campaign. 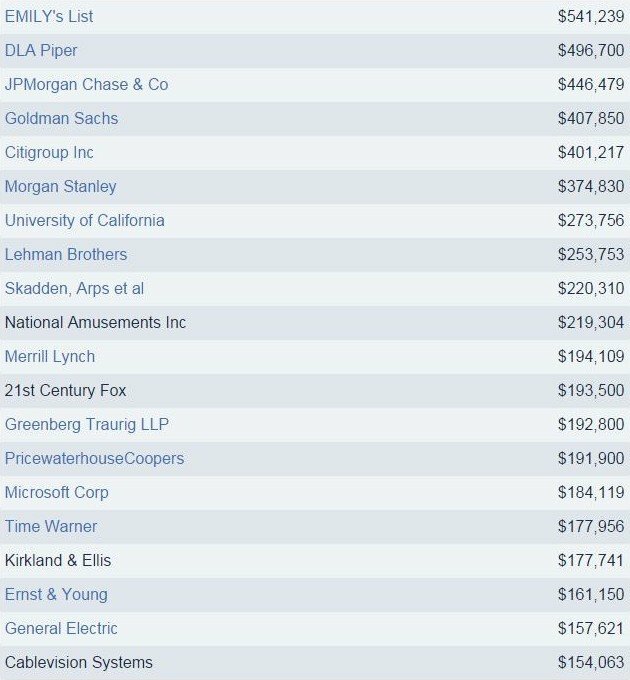 While vowing to protect ordinary Americans from the fallout of corporate and Wall Street cronyism, Hillary is being funded by corporate and Wall Street cronies. “I’m running for president. 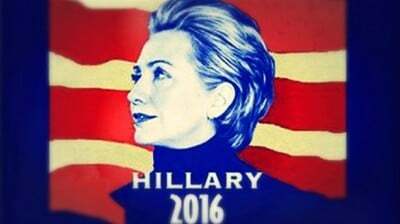 Everyday Americans need a champion, and I want to be that champion,” Hillary tweeted. But according to every rational observer, Hillary has nothing whatsoever in common with “everyday Americans”. Her attempt to associate her cynical political campaign with working and middle class people is a complete insult. Hillary continues to give paid speeches for which she rakes in $300,000 per event, behavior described by one Democratic operative as “baffling” given the “brand” of her campaign as a representative for “everyday” hard working Americans for whom it would take years to earn a similar amount. Another GOP source told Business Insider that Hillary is “just not able to relate to the guy who’s actually waiting paycheck to paycheck” and that her obsession with money is a form of “arrogance”. Meanwhile, Hillary’s supporters are still portraying her as a bold advocate for women’s rights, while the Clinton Foundation takes money from some of the worst women’s rights abusers on the planet. “I think it really questions the sincerity of whether she’d be a champions for women’s rights when she accepts money from a country like Brunei that stones to death people for adultery,” Senator Rand Paul told CNN yesterday. As the New York Times reports, the Clinton Foundation has also taken at least $10 million since 2001 from Saudi Arabia, a country that treats female drivers as terrorists and oversees a system of “violence against women, human trafficking and gender discrimination”.